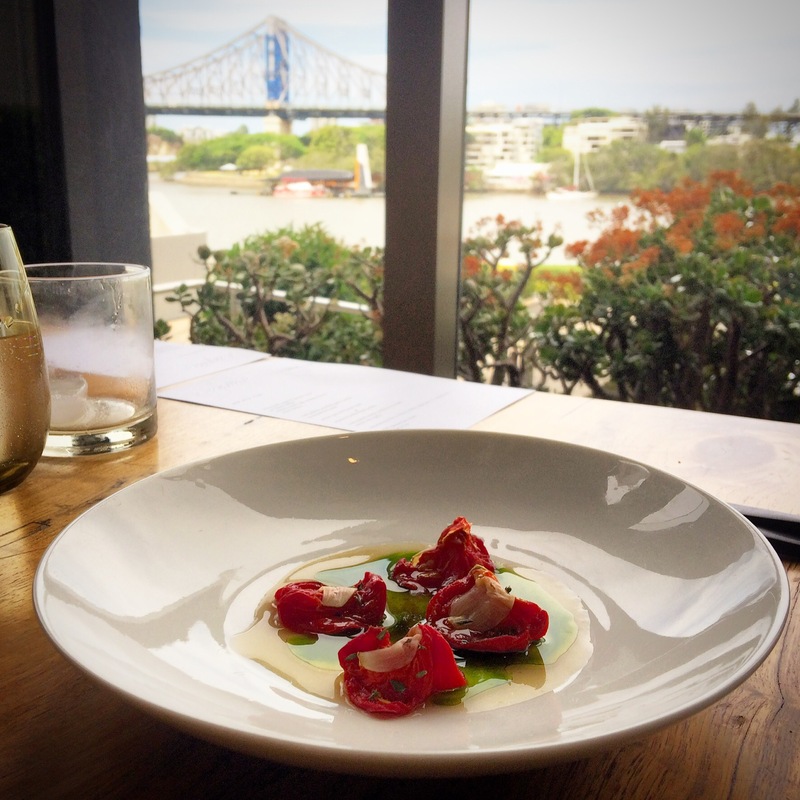 You might recall my post a couple of weeks ago where I wrote about some of High-Water’s produce being used to supply some very upmarket restaurants in Brisbane. The supply was through Pretty Produce who is another Lamb Island grower who is gaining an outstanding reputation for their edible flowers. 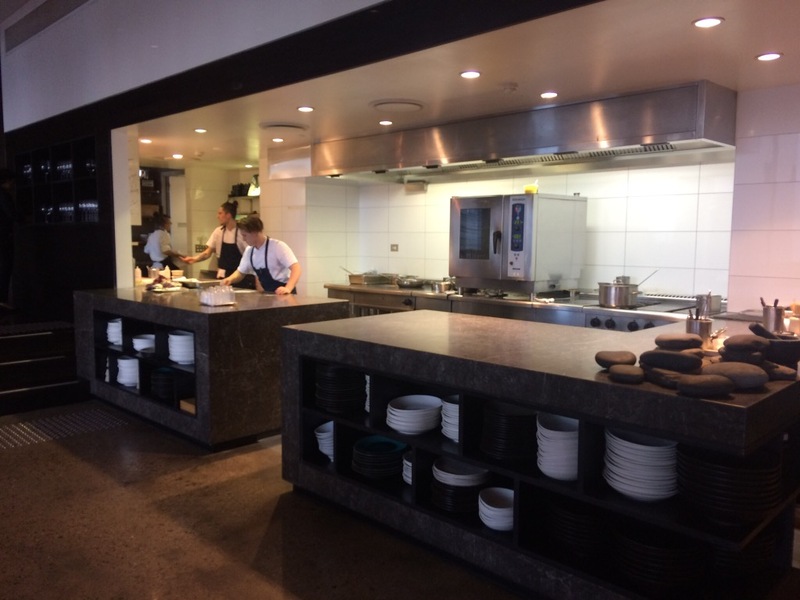 Today I had the opportunity to experience some of the food being produced at Brisbane’s most highly awarded restaurant and one where just a little bit of High-Water’s produce has ended up. Fancy restaurants definitely aren’t my scene but it’s great to see actual professional chefs who are passionate about their trade and who make their food from scratch. These guys make everything in house. 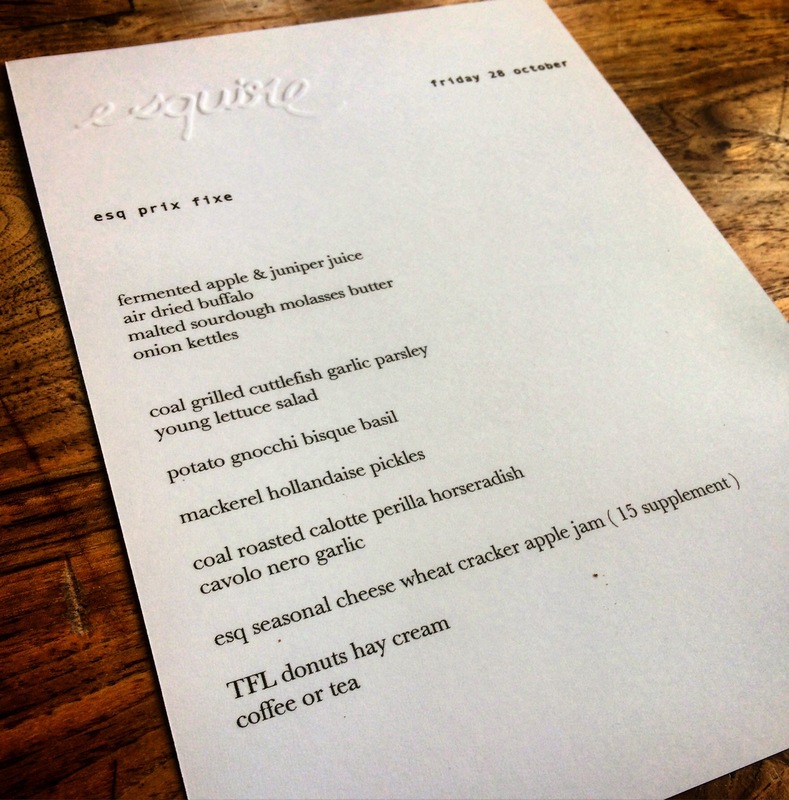 The lunch menu was a set affair with a few variations as alternatives to the meat dishes. 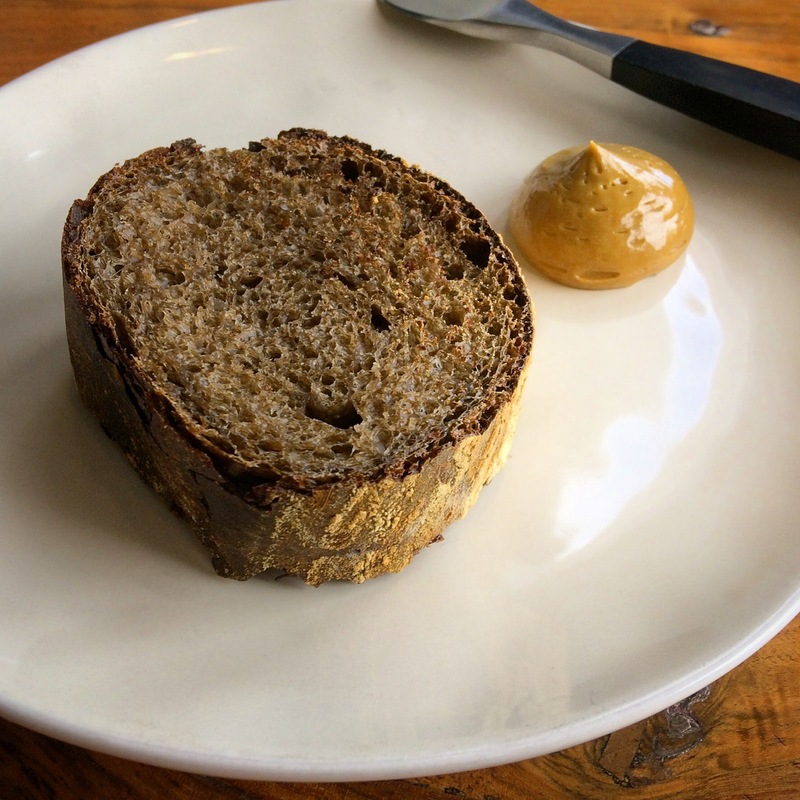 One of the highlights for me was this molasses butter. It’s amazing how just a small and subtle variation to something can change the entire flavour of a staple. Below is dried Kimchi which is normally served as a fermented Korean dish and is very salty, spicy and quite pungent. 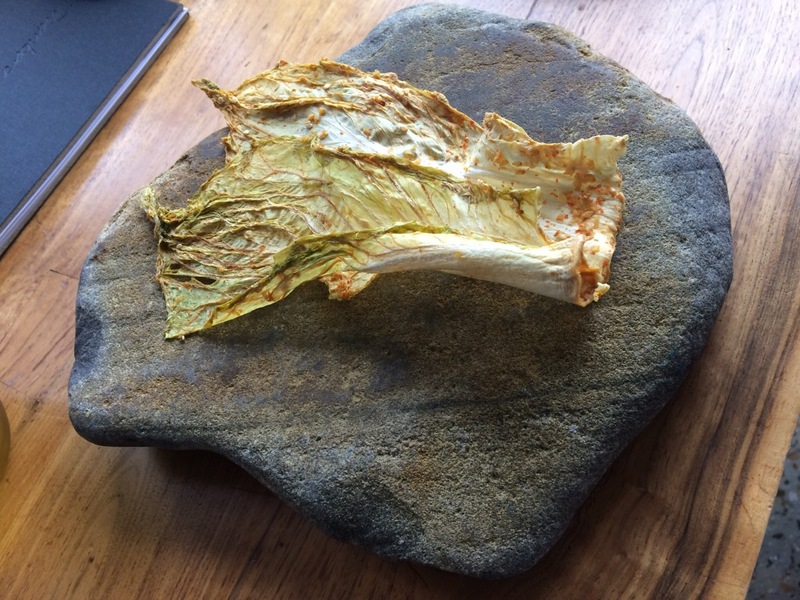 I’ve never been a fan of Kimchi but serving it dried this way as a kind of chip it was actually really enjoyable. These semi dried tomatoes served with a slice of garlic clove and oil were tasty. 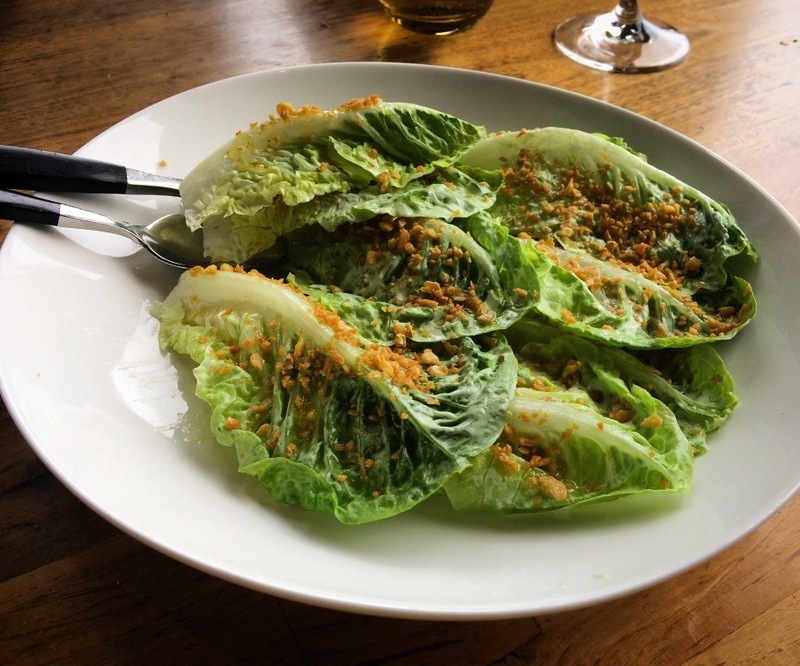 While this bowl of lettuce looks very simple, the baked garlic crumbs added some intense flavour. There is always a good supply of lettuce at High-Water and this could be another serving option. 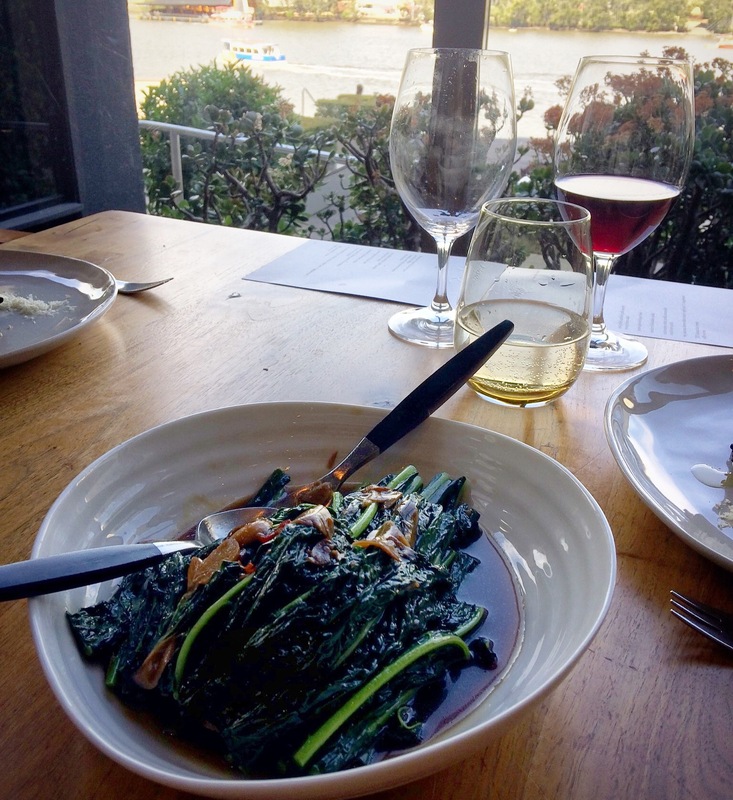 Another of my favourites today was this spinach in oyster sauce. I’ve often used this kind of recipe for Bok Choy but I’ve clearly been doing something wrong because I don’t get the beautiful flavours that this dish had. The chefs here make their own oyster sauce from scratch, so I’m guessing that my store bought oyster sauce is a big part of the problem. 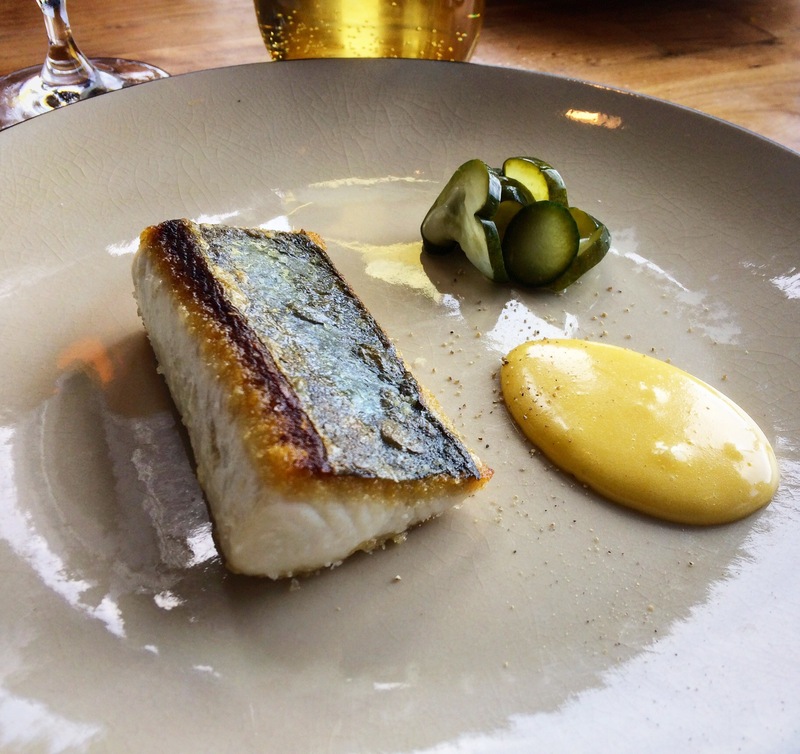 The pickles served with this Mackerel were obviously made in house and I’m going to have to practise my pickle making to get these great flavours. I’ve been doing a bit of research lately on making vinegar so I’m keen to experiment with different flavours of vinegar for pickling. So all up, the food was pretty impressive and it was good to watch the chefs not only make the food for lunch but prepare everything from scratch for the dinner courses. It was satisfying to see where some of the produce from High-Water ended up and the passionate chefs who work their magic to make great food.